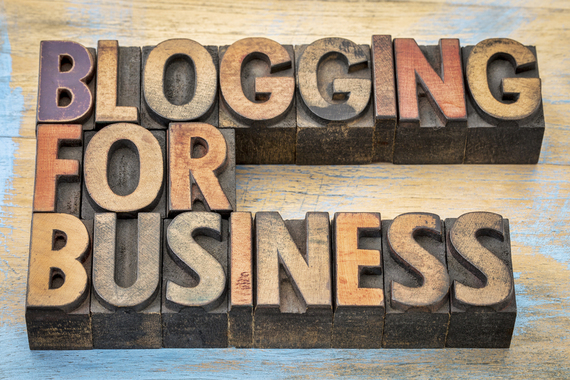 Are Business Blogs Worth the Time? Marketers that use blogs get 67 percent more leads than those who don't. For busy small businesses, however, the time and resources needed to maintain a business blog can seem to outweigh the benefits. When you're jumping from one demanding client to the next, even finding a few minutes in your day for lunch can feel like an impossibility, much less writing, publishing and sharing the perfect blog post. Worse, if you do miraculously get something published, your promotion efforts may fall short, and Google Analytics reveals that only a handful of people even read it. (Yikes!) With publication platforms like Medium and LinkedIn Pulse continuing to gain momentum, is a company blog still worth the investment? Five years ago, business blogs were hailed as a panacea for a host of SEM woes. Fresh, regularly updated content would appeal to Google and help push your website to towards the top of search results. Every blog post was an opportunity for more prospects to discover your business and better understand your industry expertise. New blog content drove social media strategy, creating endless opportunities for "snackable" content atomization and bite-sized distribution. While all these things are still true, it's also true that the Internet is flooded with content. With millions of pieces published each day, effective content distribution has become the name of the game. Getting your thought piece published here on Huffington Post, for example, will likely reach a far wider audience than it would on your blog. Define (and prove) your expertise. Don't assume that the only place your blog fits into your sales cycle is lead generation. Blogs can help close the deal, too. During the "evaluation" phase of the sales cycle, prospective clients will go to your website to learn more about your company. Maybe a lead met you at a business conference or networking event rather than finding your company through a Google search result. When your blog is packed with excellent content demonstrating your industry thinking, approach, and expertise, the lead will feel more confident selecting your company as the solution provider. An empty blog won't necessarily hurt your chances, but it won't help them either. Rise in the (Google) ranks. Google loves fresh content and continues to refine its algorithm to incorporate a variety of different "freshness" signals. No, you can't just have a "word vomit" moment and hope to put something - anything - on your blog will get the job done. Content still needs to be relevant, engaging and useful. Strengthen keyword authority. It's simple math: the more quality content you publish with top keyword phrases, the more keyword-rich indexable pages you'll generate for your site. Delivering Google, a steady stream of fresh content will keep pushing your pages to the top of search results, improving your credibility and relevance. Posting a new blog prompts Google to crawl your site again, increasing your relevancy for specific search terms. Sure, the number of people reading each blog post may be low, but if the posts help boosts your overall site rank, this drives more traffic to your home page and ultimately more leads. Get technical. Your blog is not a place for generalizations. Don't be afraid to get highly specific for your audience! For example, Houston-based law firm Skillern Firm recently published a detailed post on how child support is calculated in Texas. Will most people be searching the Internet for this information? No. But those who are searching for it will get what they need. The post establishes the firm as an authority on this subject, both for the keyword searches and knowledge expertise. That's a win-win! If blogging feels like an albatross around your neck, simplify the process. Once a month, set aside one morning or afternoon to work on the blog. Conduct preliminary keyword research to identify trending searches relevant to your industry. Create a list of topic ideas that mixes evergreen content (e.g., "10 Best Practices") with topical pieces (e.g., commentary on a recent industry new story, publication or study). Finally, draft a few of these pieces and schedule them for publication. Check your local Universities and Colleges for business events to attend to get some great ideas - and find networking opportunities with other small business owners. For example, I recently attended a Small Business Marketing Boot Camp at Houston Community College, and was able to hear some great ideas on the 2nd day at the "Taking Your Business Online, Building a Strong Website And Blogging" seminar. I saw many business owners and startup entrepreneurs get answers to their questions, hear some great tips, and link up with other business owners. Still, can't find the time to create your content? Consider working with a freelance writer to jumpstart your blogging. The investment is minimal, and the return could be huge for your business.